A breakout teen author explores the true meaning of popularity and how to survive middle school in this hysterically funny, touchingly honest contemporary memoir. Can curlers, girdles, Vaseline, and a strand of pearls help a shy girl become popular? Maya Van Wagenen is about to find out. Stuck near the bottom of the social ladder at “pretty much the lowest level of people at school who aren’t paid to be here,” Maya has never been popular. 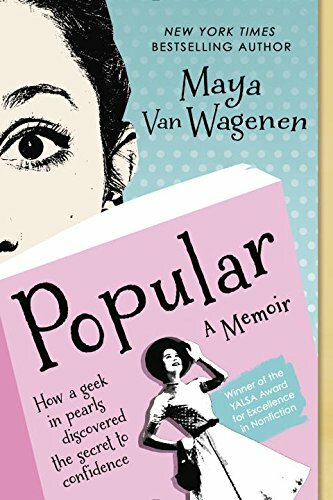 But before starting eighth grade, she decides to begin a unique social experiment: spend the school year following a 1950s popularity guide, written by former teen model Betty Cornell. The real-life results are hilarious, painful, and filled with unexpected surprises. Told with humor and grace, Maya’s journey offers readers of all ages a thoroughly contemporary example of kindness and self-confidence, along with a better understanding of what it means to be popular.